Detail Produk "Hitachi-Aloka Arietta 60 Ultrasound"
Hitachi Aloka understands that veterinarians demand the best technology, professional support and the specialized tools necessary to perform comprehensive real-time ultrasound imaging for superior patient care. Arietta 60 continues our dedication and commitment by providing a powerful shared-service platform with superior image quality, outstanding system reliability and intuitive use of cutting edge technology. Hitachi Aloka remains the standard in the field of diagnostic ultrasound. The Arietta 60 has many advanced capabilities required for cardiovascular applications as well. Features such as Dual Gate Doppler, 2DTT, Cardiac eFlow and FAM support detailed evaluations. Additionally, applications like VFM, eTracking and Wave Intensity move hemodynamic evaluations far beyond the basics. To provide scanning comfort for all ultrasound users and their patients, the ARIETTA V60 has been designed with ultimate usability. ARIETTA V60 can be moved easily and without strain. The monitor can be folded forward to secure safe transport without obstructing your view. 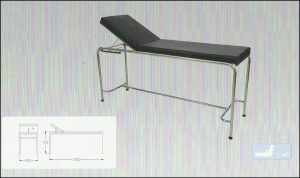 The panel height can be adjusted to fit both the physique of the examiner and the examination style, offering a comfortable working environment in a natural posture whatever the clinical setting. The system can be adjusted from a low position of 70 cm, similar to the height of an office desk, up to 100 cm, an appropriate height for scanning while standing. The operating panel layout is designed with efficient workflow in mind. Free customization of many keys is possible. Probe-dependent assignment of functions to controls offers optimum tailoring for each clinical situation. The two-way multi-rotary encoders offer intuitive operation, enabling the management of many functions in one control: working as a joystick for up/down and right/left movement, and as a rotary encoder to adjust other parameters. The Auto Optimizer feature corrects many parameters with one key-stroke, instantaneously forming uniform, diagnostic-quality images. The Auto Trace function of Doppler waveforms supports exam efficiency significantly reducing the number of required key strokes.